We all want a nice looking home, but home décor items can become pricey rather quickly. Personally, I always like to try and find the best deals. Even on sale, home décor is still expensive. I wanted to find some dollar store home décor items because I believe you don’t always have to spend a lot to have nice things. Although quality generally corresponds with price, you can sometimes score some bargain finds, if you know where to look. You aren’t using these items rigorously by any means, so the durability of the item is not as important. The great thing about technology today is that you can grab things that look expensive, even if they’re not. I have found myself surprised by the quality of home décor items in the homes of friends and family, even though they spent very little on the items. 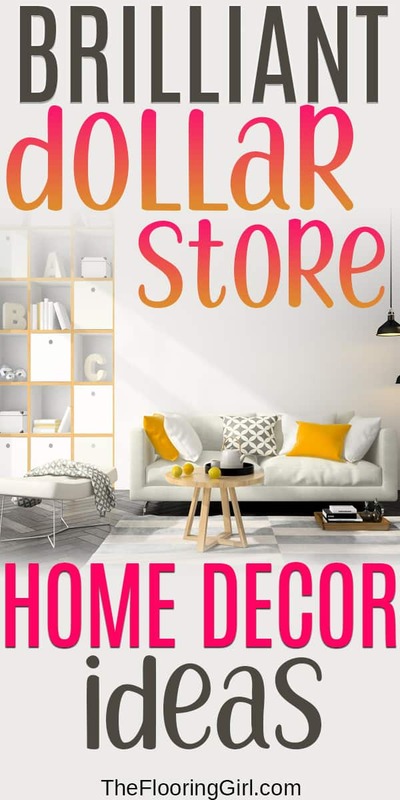 I wanted to share some of the best dollar store home décor items I found, as I hope that they’ll inspire you to feel like you can beautify your home without spending a fortune. And, thankfully, you can buy these items online, through the comfort of your home. 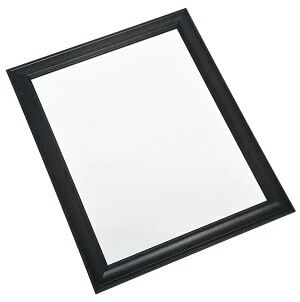 Accent mirrors are a great way to make a room look larger than it really is. I liked this specific accent mirror because it’s a nice size as a dollar store home décor item, and it comes with a neutral frame. Personally, I would recommend picking up some 2×4’s and making your own frame. You could decorate it as you wish, and you won’t have to worry so much about it being too flimsy. If a two by four is not your thing, consider checking out these other DIY photo frame ideas. 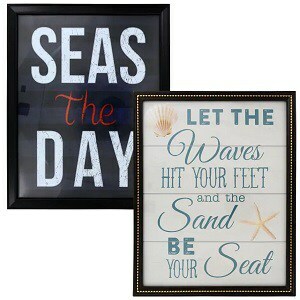 If you love beach theme products, these coastal print framed art pieces would make a great addition. I definitely appreciated the humor of the first sign, and the second one makes me a little jealous of those who get to live by the beach. 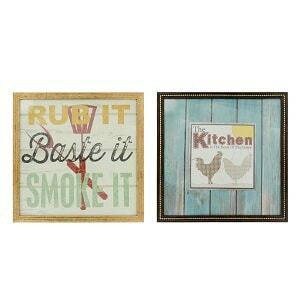 Consider putting these up in your family room or bathroom. Add a vase filled with seashells, and you already have yourself a nice, beachy theme at your house. 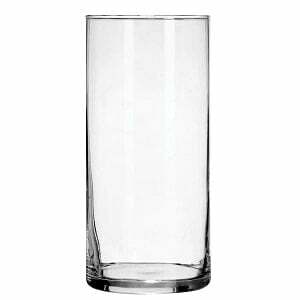 A glass cylinder vase offers endless opportunities as a home décor item. You don’t need to put flowers in your vase, as there is a multitude of items that you can put in it. Consider grabbing some artful driftwood, candles, or shells to put inside of your vase. You can change it out year-round to reflect the holiday of the season. 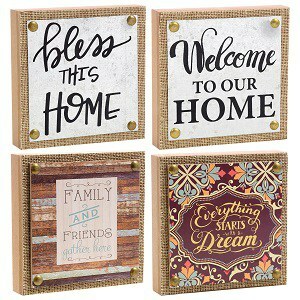 If you are looking to add a small touch to an existing coffee table or bookshelf, these sentiment plaques would be perfect. The wood they are made with is quite thick, so this is a décor piece that could take a little bit more of a beating. Since you have to buy these in a set, you could consider gifting them to your friends or family – who would never know it came from the dollar store! 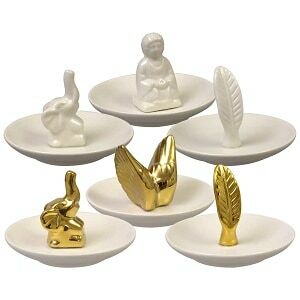 These ceramic trinket trays look nice and offer a lot of opportunity as home décor. I think we all have plenty of “little things” that take up clutter on bookshelves and dressers, and these little dishes offer a structured place for all of those things. Stick a couple on your bathroom vanity to hold your assortment of necklaces and rings, or put one on the kitchen counter to hold spare change. Do you like the look of succulents but don’t want to have to worry about caring for them? 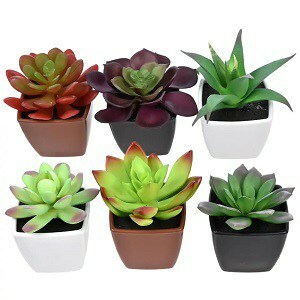 Pick up some of these artificial potted succulent plants. Put them in a large planter outside, or use them as a centerpiece for your dining room table. It’s difficult to tell these from real ones, so it’s definitely worth the small cost. 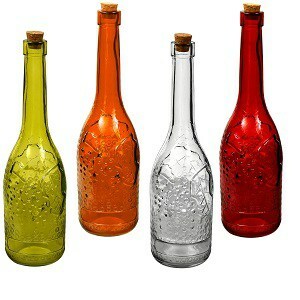 The nice thing about these colorful glass bottles is that you don’t have to do anything to decorate with them, as they look nice on their own. These cork-topped glass bottles come with a lovely design on the side of the bottle, and you get some of all four colors in each set you purchase. For those of you are a bit more enterprising and love DIY crafts, check out this video. I love these ideas, and you’ll see how simple they are. 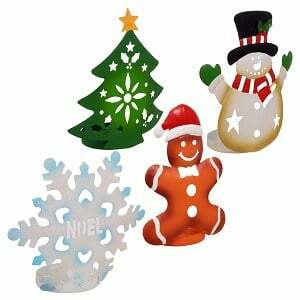 Although these tealight candle holders will probably be used just once a year, they are certainly a pretty great value with what you are getting. This product definitely highlights the “magic” of Christmas, and because it’s made from metal it’s likely it will last for years to come. Everyone needs some of these collapsible storage containers in their house. They are incredibly useful for laundry detergents and dryers sheets in the laundry room, or as storage for your child’s toys. 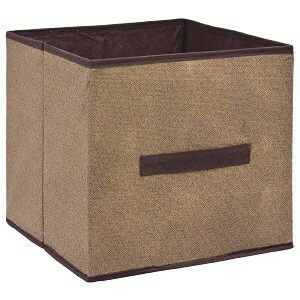 These aren’t extremely sturdy, but they look nice and work great for storing everyday items. Luckily, you don’t have to spend twenty or forty dollars on a single oil-warmer from a notable brand. 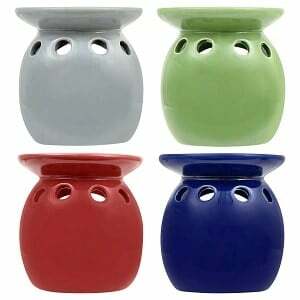 These generic ceramic scented-oil warmers certainly aren’t the fanciest design out there, but it’s a great option for those that like to keep it simple. Overall, the quality seems pretty good, and the product looks nice. If you don’t use every warmer in the set for it’s intended purpose, consider putting a succulent inside of it since one side of this piece is open. A ceramic ring tray like this serves no other purpose than home décor. These are certainly not for every home, as the design caters to a specific style. 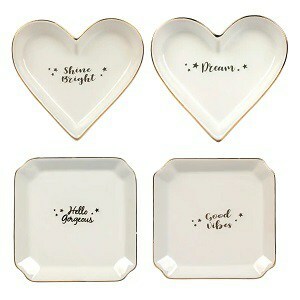 If these items do match your style, you will receive 24 of these little plates, as that’s how many come in a case. This allows you to decorate each room with a consistent style, as you will have plenty of pieces from which to choose. 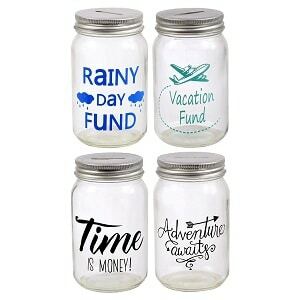 A mason jar is a great place to start your rainy day fund, and these glass bank mason jars are already decorated for you. You could even consider using these for something other than money. Turn it into a lamp base, candle holder, or something in which you may keep your q-tips or cotton balls. As a young child, I always loved river rocks like these, and they can be used for a multitude of home décor items. 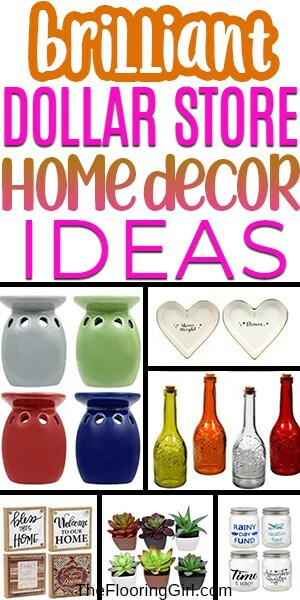 If you want something simple, you can throw some into a mason jar or vase for basic décor. If you are looking for something more unique, consider hot-gluing the river rocks onto an existing photo frame or hot pad to make it look more decorative. 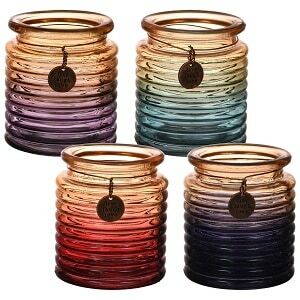 These ombre glass candleholders look much more expensive then they are. 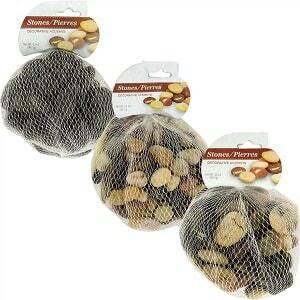 These would be another great gift idea, or may be used as favors for a party. They come with a cute unique charm that says “live, laugh, love”, and I can think of a ton of different uses. Use it as a candleholder, or a holder for your makeup brushes. I thought these Special Moments art prints were very cute. It would be impossible to know that they came from the dollar store, as they look to be much nicer quality than something you would get from there. I like that the set comes with a multitude of pictures, which means you could put them in different areas of your kitchen and dining space. 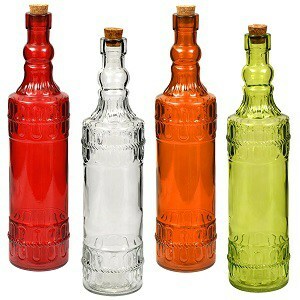 If you want to have a vintage look at your home, consider grabbing these colorful glass bottles. I really liked the cork top and heavy duty glass with which they are made. If you were to purchase glasses like this in a craft store, you could expect to spend at least five dollars per bottle, so a dollar a piece is a steal! 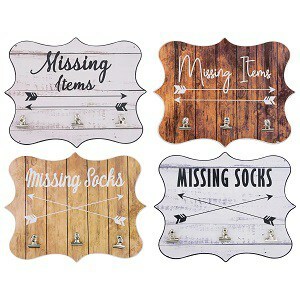 I think most of us could utilize these missing item wall plaques. It’s a cute idea and these hooks need not be used only for missing items. Consider keeping a plaque to hang your keys on when you get home so that they don’t go missing. These would be a cute item to gift to those with kids, as we all know how easy it is for little socks to go missing. 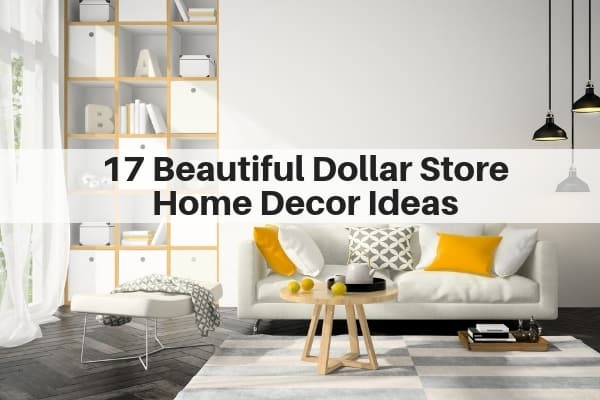 What was your favorite Dollar Store home decor idea? What has been the best value you have found at the dollar store?